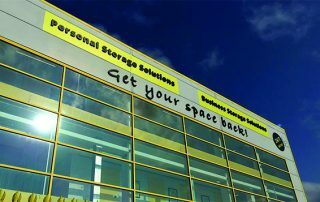 We are an enthusiastic, experienced team, helping companies with their design, signage and print needs. 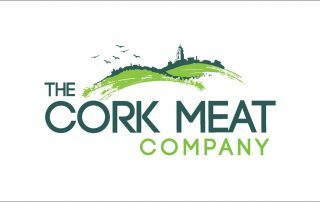 We have a purpose built 5,000 sq ft facility near Blackpool in Cork. 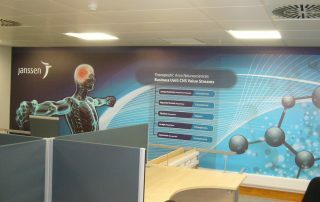 We design, manufacture and install solutions. We really like what we do! Whether it’s our initial consultation, our design, manufacture or install stages, you’ll find us applying ourselves 100% to your project. 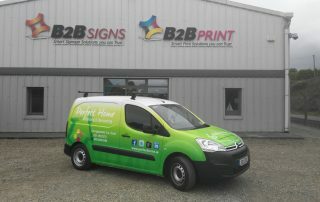 B2B Signs & B2B Print provides a complete range of signage and print solutions for businesses and organisations mainly in the Cork area, but we do have customers all over Ireland. 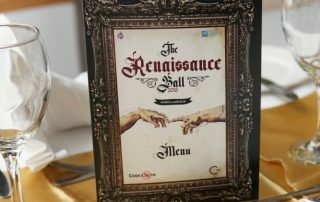 Our core products include interior & exterior signs, vehicle graphics, display signs, business stationery & promotional printing. 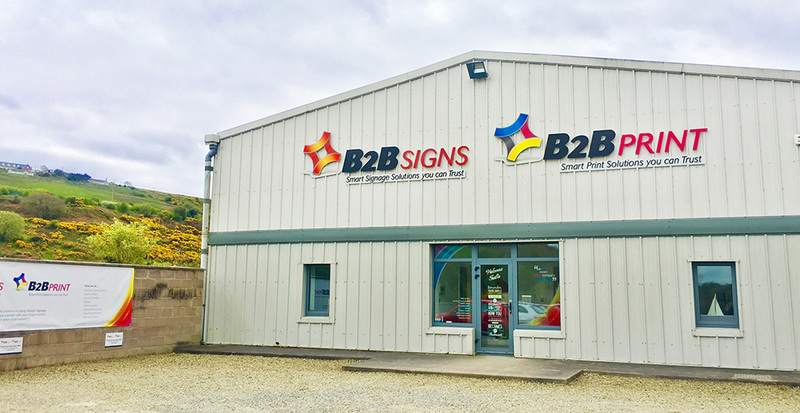 Our team offers a complete end-to-end service, from advising you on the best signage or print option for your business, through design, manufacturing and installation. 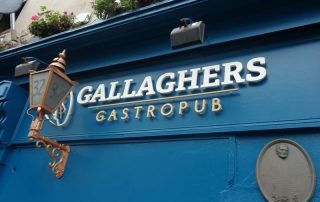 Our clients include many of Ireland’s largest companies and public sector organisations as well as businesses in the small to medium sector. We have extremely capable people at each stage of our process. We have consistently worked towards attracting, retaining and enabling a team that actually enjoy and are motivated to do great work for our clients. We work well together, we’re all very proud of our work and we continue to improve, to be the best at what we do. We’re personable, fun and we answer the phone, when it rings. It’s not an automated number options system! We’re a traditional service based company and we simply like to help. Give us a call for an initial chat. 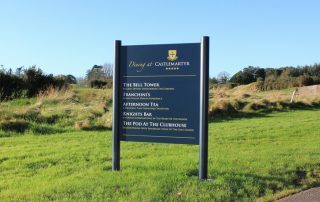 If you want a simple sign or a business card, to your own design, no problem, we can help. It might be a sign or a business card you’re asking for but is it really? Most businesses really want the effectiveness of what their marketing items can do for them, rather than the items themselves. We specialise in assisting businesses with their decisions to optimise the results they get from expenditure in this area. 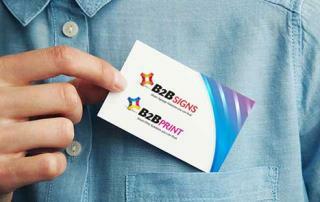 Our DNA is business based rather than a traditional craft based signage/ printing company. 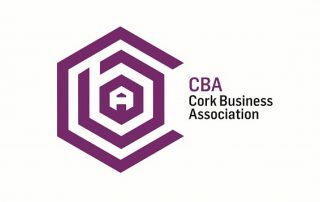 We have top marketing credentials among our team with experience as a Member of the Board of Directors of the Marketing Institute of Ireland and a judge on the (sought after) All-Ireland Marketing Awards. This expertise qualifies us to advise about communication and branding decisions around clients’ businesses. Quality engagement from clients, combined with our experience, helps us find the magic in projects and drive ROI and exceptional results. We like results and accountability for them. Whether it’s an internal business objective communication of a multi national company, a chain of offices around the country, or a rebrand required for a small to medium sized enterprise, we have multiple case studies to prove our pedigree for delivering results with your project. If you require a consultation to help tie down your project, we’re here to help.